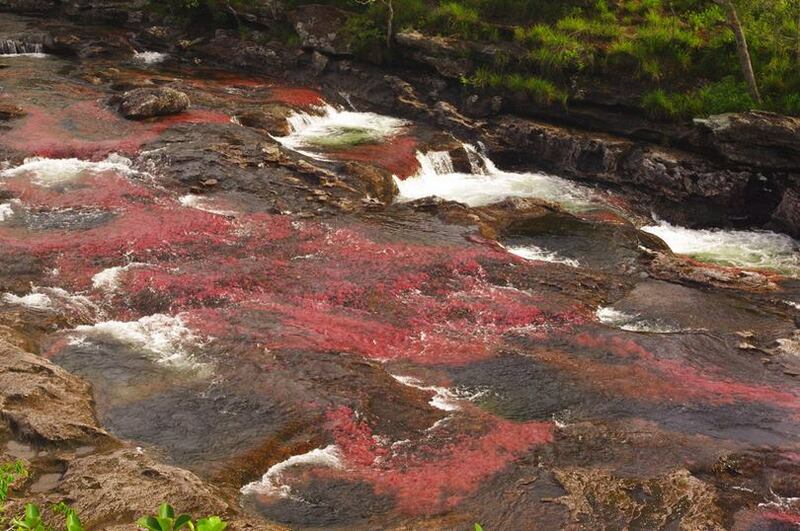 Caño Cristales is called the "most beautiful river in the world" and especially among Colombians, who consider it one of its great natural treasures or "the river of the five colors"; But some also refer to this strange flow, located in the Natural Park of the Sierra de la Macarena department of Meta, in a more poetic way: "the river that escaped from Paradise" or "the rainbow that melted" . Everything is due to the incredible color palette that floods its waters during the driest months that's go from July to November. 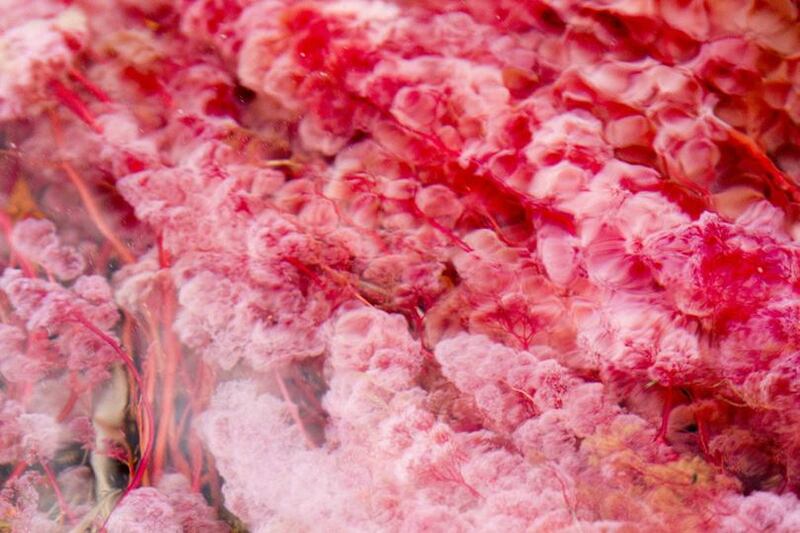 The red and fuchsia color is caused by a type of native algae that develops especially during those months in which the rains fall. 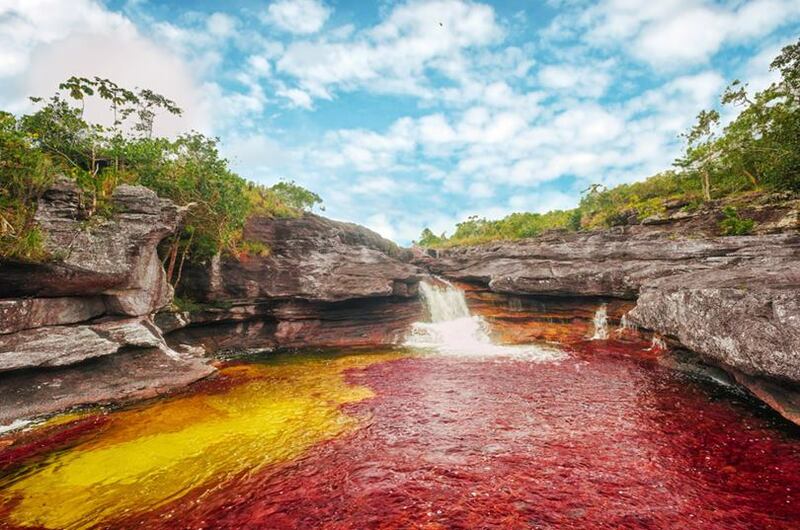 But there are no shortages between the pools, waterfalls and meanders that make up this 100-kilometer-long stream of yellow, green, blue and black. 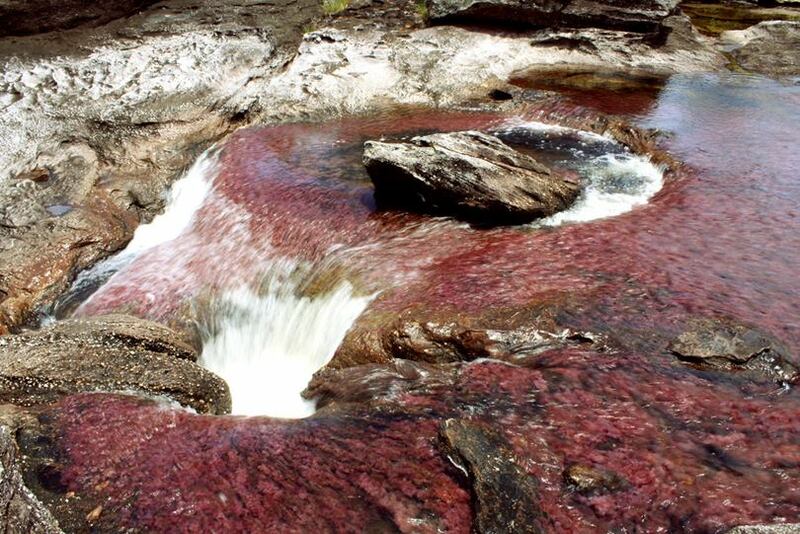 Caño Cristales is mighty, it has waterfalls, and the presence of rocks in the bed originates some rapids. 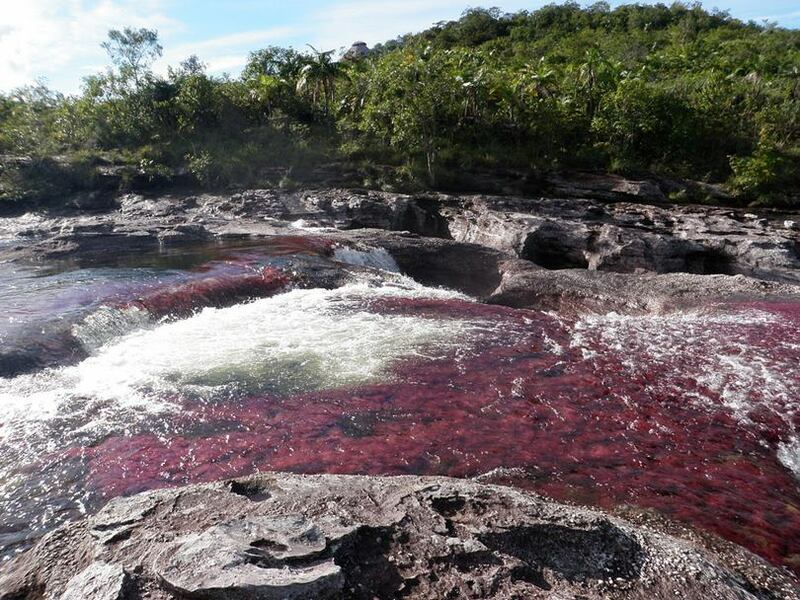 So imagine how it should feel to observe how a river that looks like blood or pitch accelerates vertiginously through a magical landscape surrounded by pictograms and petroglyphs belonging to the ancient cultures of the region. As if a rainbow had liquefied. 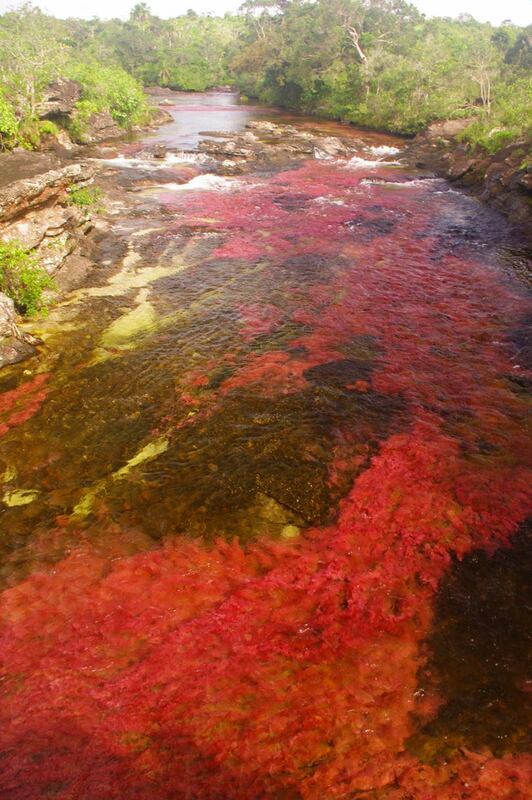 Caño Cristales is a true natural wonder is its color. 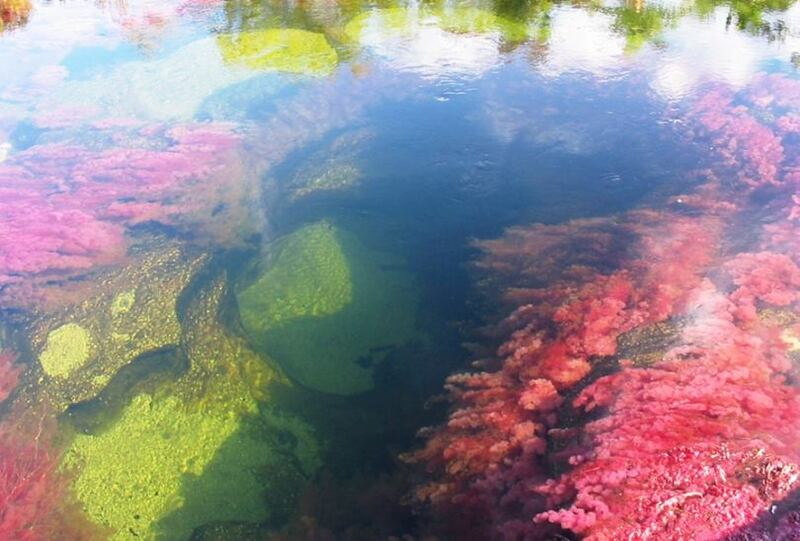 Its waters are tinted up to five different colors : Cano Cristales the river of five colors yellow, blue, red, green and black. 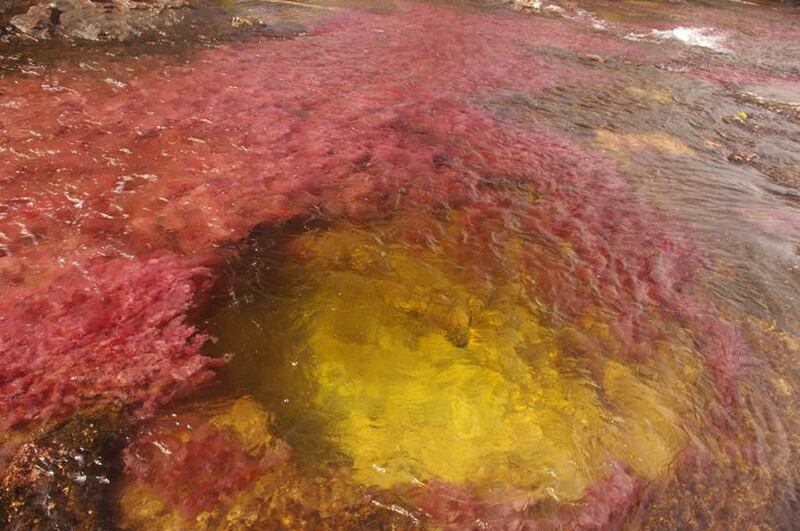 All of them reach an unprecedented brightness and intensity in those waters. 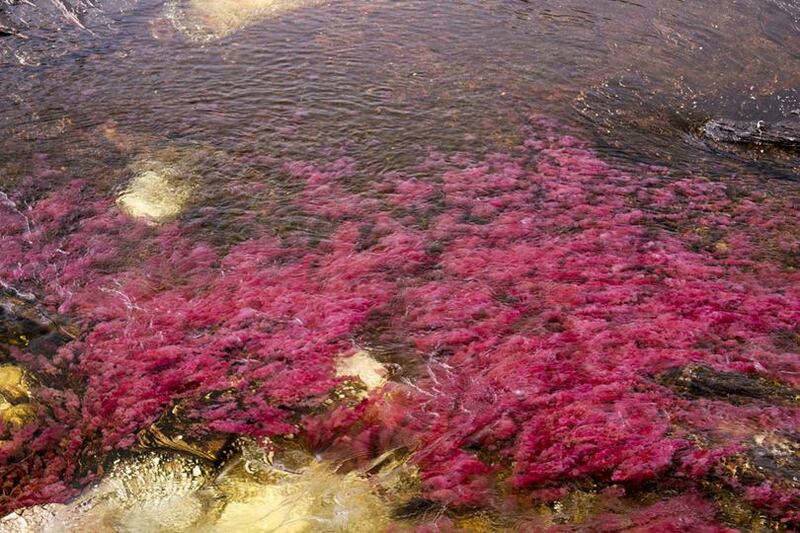 The reason for this range of colors is that on the bed grow the algae of the macarenia clavigera species . 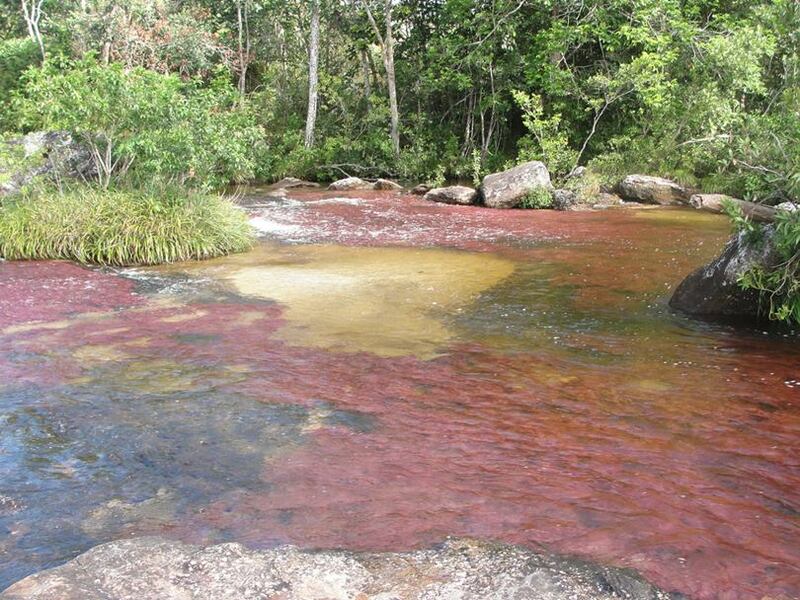 It is an extraordinary vegetation of fresh water able to change its color to dye the river with incredible color effects and a unique photography. 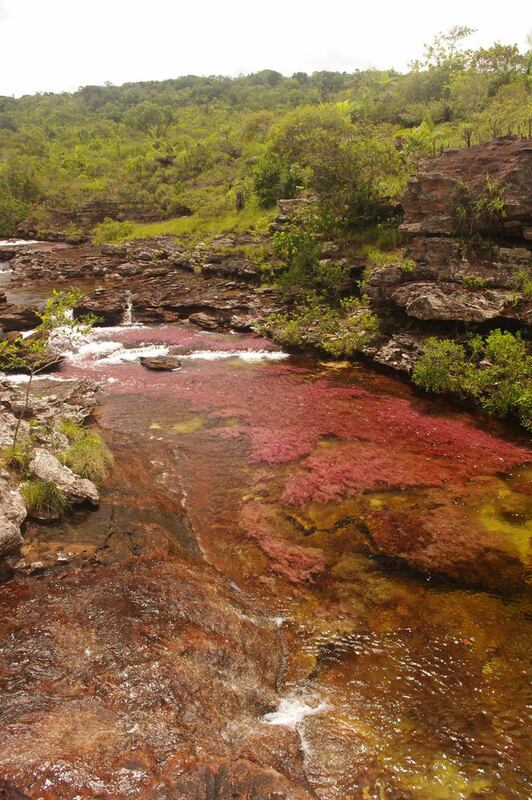 The presence of algae and freshwater corals, as well as aquatic plants that give it its characteristic red color "Macarenia Clavígera", are responsible for the different colors of Caño Cristales, its transparent waters also reflect the color of the sky and the Rich nature of the place.